What would you like to donate for ? The gift of Education ! If you want to bring long-lasting reforms in any society, education is the way to do so. 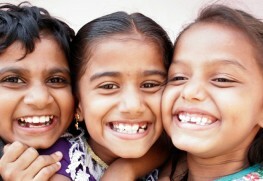 That’s why Gift a Smile – our education program for underprivileged children is one of our biggest projects. Through Art of Living’s 613 free schools all over India, we educate more than 67,000 children from the remotest corners of the country. It takes only Rs. 12,000/- per year to educate a child which includes education, transport, food, medicals, uniforms, books, and meals. In many cultures across the world, food is equated to happiness. It’s a grace to receive food – that’s why we are encouraged to express our gratitude before every meal. 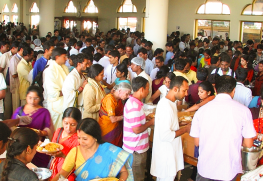 On a regular day, more than 20, 000 free satvik meals are prepared in the ashram kitchen. From ashram’s school children to visitors, these nutritious meals are enjoyed by a wide variety of people. which translates to May the food-giver be happy. The term Annadata or food-giver includes everyone who is responsible for putting food on your plate – this starts from the farmer who grew the food to the person who served it to you in the kitchen. Be An Agent of Joy! You too can be a blessing in someone’s life by bringing them the joy of good food. Even though our ashram kitchen operates and functions on a mega scale, it runs completely on generous donations from people like you. 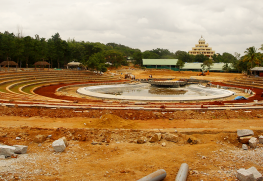 The Bangalore Ashram was not built in a day. Founded in 1986 with just a few tiny dwelling places, a small kitchen, a lovely little mantap, and a meditation hall, it used to be the perfect size to accommodate the visitors, and the volunteers back then. 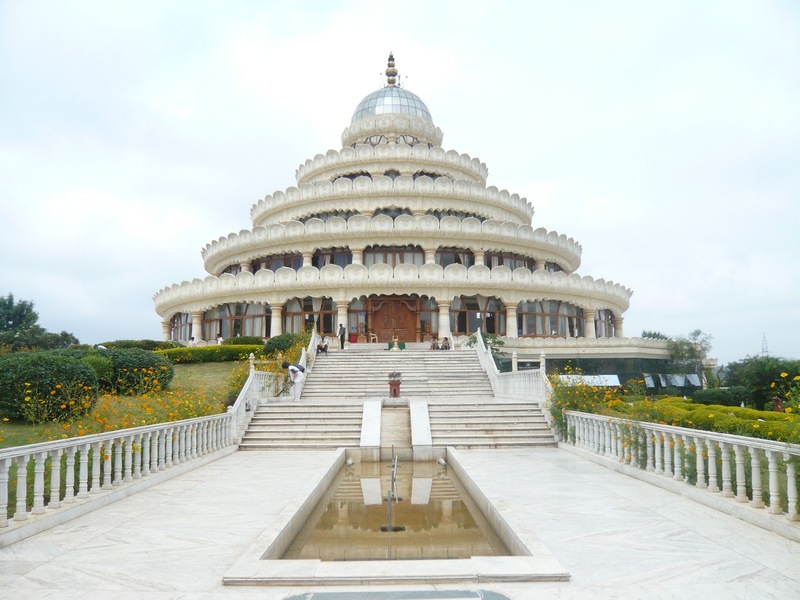 Fast forward to 2019, the Ashram has grown in accordance with the hundred thousands of people visiting it every year. In fact, every year the influx of visitors to the ashram is near-doubling. Why Must the Ashram Grow and Expand? To accommodate these growing numbers of visitors, volunteers, and course participants, the ashram must accordingly grow and expand. After all, ashram is everyone’s home and home is the place that welcomes all. Be A Part of Ashram’s Development. Contribute toward development of the New Yagnashala Construction. This ashram was created so that people could come here to experience the depth of their being and be able to express it through their lives. Over the years, the growth in the number of sadhaks and devotees testifies what people have received by coming here. The ashram is not built of bricks and mortar. It stands on the bonds of love that it shares with the millions coming here. but they have all given a piece of themselves in building this place. The ashram is a pulsating monument of collective participation in the spirit of service for three decades now and many more to come. The Vedic scriptures are a treasure-house of learning and knowledge which needed to be revived, implemented and handed over to coming generations. And it is for this reason that the Art of Living Vedic heritage school was started by Gurudev Sri Sri Ravi Shankar. The school is dedicated to Veda and Agamic studies; it offers 8 year program based on the syllabus prescribed by Karnataka Samskrutha University and has trained 169 students in 8 batches till now. Since 2015 Post graduate studies have also been introduced. 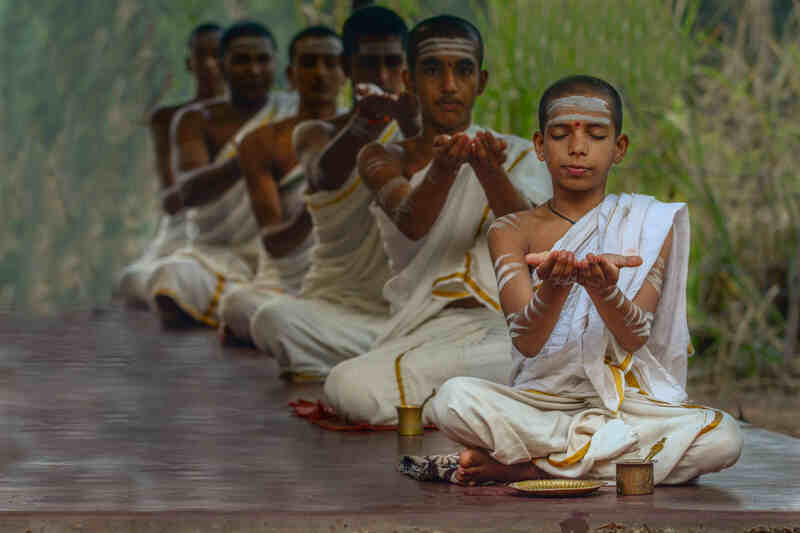 Students are taught Veda, Jyotisha Shastra, Sanskrit, supported by one year of internship and training in English, computers, Indian Culture and Heritage, sports and Carnatic vocal music. The present batch consists of 320 students who are taught by highly qualified Veda instructors. 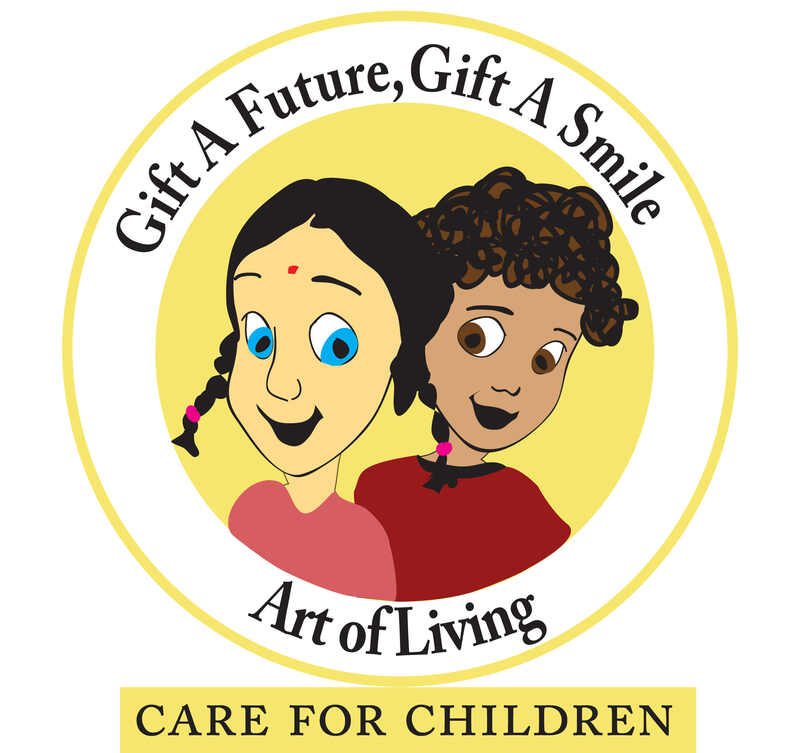 The students are provided free education, hostel and library facilities, satvik food, and medical care to students along with free access to Art of Living children and teen courses. Pay using only Visa or Master card for debit/Credit transactions. I understand that once received, the donation for a cause will not be refunded to the donor. No cancellation can be made. The donation will be used for the social developmental work being initiated by the organization. I understand that VVMVP owns and retains the copyright and all other rights in the contents of this website, including all the text, pictures, photographs, graphics, marks and logos displayed on this site. I understand that I am not entitled to reproduce any contents on the site for sale, distribution or commercial gain. No part of this site may be incorporated in any other work, publication or site in any form/format whatsoever. I shall also not be entitled to modify and/or reuse any of the contents on this site for any purpose whatsoever. I understand that the information and contents on this site are for general purposes only and may not be relied upon for any specific purpose. VVMVP makes no representation or warranty as regards the accuracy or completeness of any information and/or contents contained in this site. I understand that VVMVP shall not be liable for the content of websites to which visitors of this website are referred. Links to such websites are provided only to complement information provided on this site. VVMVP respects my privacy. They are committed to safeguarding the privacy of their customers' personal data. I understand that I can browse this web site without supplying VVMVP with any of my personal details. shall not create liability for us or cause us to lose (in whole or in part) the services of our ISPs (Internet Service Providers) or other suppliers. I understand that any benefits derived from this program depends upon the extent of my participation. I accept full responsibility for the outcome and I willingly agree to follow all instructions and participate fully. I will not disclose the content of this program to anyone. I will not attempt to instruct others in the techniques used in the program until I receive personal training from Sri Sri Ravi Shankar, The Art of Living Foundation and affiliated organizations. I acknowledge and agree to voluntarily donate for the program by credit/debit card and net banking. I give permission for any necessary medical care in case of accident or illness. I agree to take full responsibility for the cost of any treatment provided. I give unrestricted rights to use my image, name, voice, and likeness for all non-commercial written, audio and/or visual presentations. I understand that the written, audio and/or video presentations may be used in print, broadcast and online promotions the Sri Sri Ravishankar Trust and affiliated organizations. THIS NOTICE DESCRIBES HOW MEDICAL INFORMATION ABOUT YOU IS TO BE USED. PLEASE REVIEW IT CAREFULLY. The Sri Sri Ravishankar Trust and affiliated organizations understand that your medical information is personal and confidential. This is a notice of our privacy practices. The policies in this Notice will be followed by Sri Sri Ravishankar Trust and affiliated organizations teachers, staff, and volunteers.  Keep medical information about you private, as provided by law.  Provide, or make available, as applicable, this Notice of our legal duties and privacy practices with respect to medical information about you.  Follow the terms and requirements of this Notice. The medical information questionnaire is used for the purpose of health screening to determine if any health condition might be exacerbated by any of the techniques taught by The Sri Sri Ravishankar Trust and affiliated organizations. It may also be used in case of medical emergency, whereupon we may disclose medical information about you to medical personnel directly involved with your care. Sri Sri Ravishankar Trust and affiliated organizations are committed to teaching simple and effective techniques for eliminating stress and improving health. However, we are not medical professionals or specialists. Therefore, the medical information we collect from you is supplementary to determining how our programs can create the best benefit for you. If you have any health questions and/or preexisting conditions, please consult your physician prior to participating in any program. Further, you agree that Sri Sri Ravishankar Trust and affiliated organizations and their teachers, staff, and volunteers are not liable or responsible for your medical condition(s) and care. I understand that the information and contents on this site are for general purposes only and may not be relied upon for any specific purpose. Sri Sri Ravishankar Trust makes no representation or warranty as regards the accuracy or completeness of any information and/or contents contained in this site. I understand that Sri Sri Ravishankar Trust shall not be liable for the content of websites to which visitors of this website are referred. Links to such websites are provided only to complement information provided on this site. I understand that Sri Sri Ravishankar Trust owns and retains the copyright and all other rights in the contents of this website, including all the text, pictures, photographs, graphics, marks and logos displayed on this site. I, Parent/Guardian, give permission to my child named above to attend The Art of Living _ program on the following dates:. My child agrees to abide by the rules and regulations stated by VVMVP/SSRT I understand that any infraction may result in dismissal from the program at my expense. I release VVMVP/SSRT, all organizers, teachers and assistants in this program from all damages whatsoever and waive all right to compensation in case of injury. I declare that my child is physically and mentally able to participate in this program. I agree to recieve information from the Art of Living through various media including print and electronic media with a facility to opt out. I understand that VVMVP/SSRT cannot give me any guarantee for any specific results. Nature & extent of result depends on the degree of participation during the program and regularity of practice following all take home instructions, after the program. I here by acknowledge that I have read , I understand & agree to these terms and conditions. VVMVP and SSRT obtain your Personal information, such as name, contact number, address, email address or Unique Identifiers such as passport details, visa details, your picture that can be used to identify you. We also collect your health information to guide you in person during the programs. VVMVP and SSRT collects your personal data to complete the law of the land requirement and to inform you about upcoming programs via any and all medium of communication. VVMVP and SSRT may also contact you to participate in surveys/feedback to conduct research, improve our programs and services. VVMVP and SSRT may contact you, to update our programs by posts, email, phone, text messages and all and any medium of communications. We use a secure server. All of your Personal Information is transmitted via Transport Layer Security (TLS 1.2.) technology and securely stored in our Database and only accessed by those authorized officials with special access rights to our systems, and who are required to keep the Personal Information confidential. Please note that while we strive to protect your Personal Information, we cannot guarantee the security of any information you transmit to us, and you do so at your own risk. Where we have given (or where you have chosen) a password which enables you to access certain parts of our websites, you are responsible for keeping password confidential. We request you not to share your password with anyone. VVMVP and SSRT are concerned to protect the privacy of children aged 16 or under. If you are aged 16 or under‚ please get your parent/guardian's permission beforehand whenever you provide us with personal information. VVMVP and SSRT does share your personal data with its other trusts and associated organisations & companies across all regions to update you about the services and products. VVMVP or SSRT will not sell or rent its customer lists to other third parties. VVMVP, SSRT and other trusts and associated organisations & companies may, from time to time, contact you about a particular offering that may be of interest to you. VVMVP and SSRT may share data with trusted partners and other associated organizations for the purpose of completing the tasks and providing services to you on our behalf. (for ex., sending postal mails or emails, provide customer support). All such third parties are prohibited from using your personal information except to provide these services, and they are obligated to maintain the same level of protection of the information and they are binded by NDA’s. VVMVP and SSRT may disclose personal information when we are required to or we believe it is appropriate to comply with the law (e.g., due to a lawful subpoena, warrant or court order); to enforce or apply this Privacy Notice or our other policies or agreements; to protect our rights, property or safety; to protect from fraudulent, abusive, or unlawful use of the website or our services; to improve our products or services, or if we believe that an emergency involving the danger of death or serious physical injury to any person requires or justifies disclosure of personal information. As part of the services offered to you through this website, the information which you provide to us will be stored outside the European Union (“EU”) as our servers are from time to time located in a countries outside of the EU. These countries may not have similar data protection laws. By submitting your personal data, you’re agreeing to this transfer, storing or processing. Transferring your information outside of the EU in this way, we will take steps to ensure that appropriate security measures are taken with the aim of ensuring that your privacy rights continue to be protected as outlined in this Policy. This Privacy Notice applies to this website only, which may include links to other websites. If you submit personal or other information to any of those sites, your information is subject to the privacy notices on those sites. VVMVP / SSRT to publish, in printed or soft copy format, including on the internet, photographic images or video content of myself/ my child. As relevant to the photograph/ video, you also authorize the publication of any statements made by you/ your child as well as your/ his/ her name, type of school, age and city, your (parent/guardian’s) name and the name and your relationship to other subjects in the picture. You are aware that the photographic images, statements and personal details of your child/yourself, may be published by the VVMVP/SSRT in articles or publicity materials and may be republished by them where relevant to similar services or contexts that are not offensive to the dignity of the child, yourself and any other subjects in the picture. You have been informed by the VVMVP/SSRT that as regards the collection and treatment of my personal data, along with the personal data of the participating minor child (where applicable) and of all the other subjects present in the photo, released by means of this authorization, those in charge of the treatment of the data will be the staff, employees or experienced volunteers of the VVMVP and you will be able to exercise the rights as laid down in the Information Technology Act and to know who the people in charge of the treatment of the data are, by writing to the VVMVP. You further declare that you will make no claim of any sort in relation to and waive any monetary benefit that may be derived from the publication of the above mentioned photos, videos, pictures, statements and materials relevant to the subject of this agreement, against the VVMVP, and the associated declarations of your/the participating child’s relevant personal information, and release VVMVP from any liability arising from any such publication. VVMVP/SSRT uses information including personally identifiable information/sensitive data about you/your child in number of different ways and stores the information in a secured way for a period of as per the Law of the land and you give consent to use this data. VVMVP and SSRT may change the provisions of this Privacy Notice at any time, and will always post the most up-to-date version on our website. All transactions made on this website is considered as Charitable Contributions / donations. We have noticed that some international bank / accounts do not have this option enabled . Please check with you CARD ISSUER BANK ensure you can make online contributions for CHARITY . Note that number of transactions per card in single day is limited to FIVE. If you made more than 5 attempts then your card may get blocked. In such cases please contact your bank before proceeding to any further transaction. Please make sure that your card is a VALID one. Confirmation Error Page Displayed : If you have not got the the confirmation page after successful registration or the error page is displayed and the program contribution / donations amount is debited from your account, please report below mentioned contact details. Please wait for 24 - 48 Hours, our back-end team will get back to you in response to your reported issue . Re- Attempting to Register : If you are re trying, then first please check whether your bank account is already debited with the amount of earlier transaction . If debited please do not pay again . You can report the same to us on below mentioned contact numbers. Our back-end team will get back to you in response to your reported issue . and the donations amount is debited from your account, then please report to us on below mentioned contact details. Please wait for 24 - 48 Hours, our back-end team will get back to you in response to your reported issue. I understand that the donations are non-refundable and registrations are non-transferable. I understand that I will NOT get any email notification of the transactions.